There are a number of studies indicating cell phone usage for young children can cause developmental problems and now the state of Colorado wants to pass a cell phone ban restricting the sale of such devices to anyone under thirteen. Anyone who reads my blog well knows I’m a Libertarian and you can probably guess on which side of the issue I come down upon. However, it’s not quite as cut and dried as you might imagine. Naturally I think it’s a silly law, I hope that goes without saying. 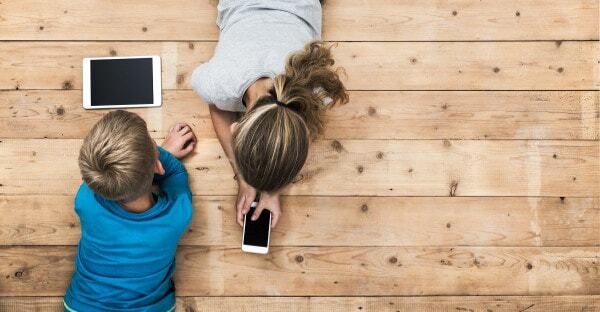 Parents have access to information indicating what is a good age for cell phone use and how much such devices should be used by children. Said parents should make the final decision about their child’s use of cell phones. It is ridiculous for the state to attempt to usurp the rights of the parents so. That being said, the Constitution of the United States is silent on the subject of cell phone sales with the intent to distribute to a child. Where the Constitution is thus silent, it is the purview of states to do as they will. In this case, the constitution does not grant me, or anyone else, the right to own a cell phone. Therefore, the state of Colorado is free to ban the sale of such devices. I think the passing of such ridiculous laws often results in exactly what the Founding Fathers envisioned when they tried to limit the power of government. It is when legislators try to impose such ridiculous bans on the people of our country that action is often finally taken. If the people in Colorado think this ban is insane, if manufacturers of cell phones move their business elsewhere, if a parent is denied the right to buy their child a cell phone and has to go through the inevitable black-market to get one; there is recourse. They can vote for representatives who repeal such a law. That’s the way it’s supposed to work. I think our elected officials are obligated to pass the laws they think are best for communities. They shouldn’t worry about the number of votes they get in subsequent elections. They shouldn’t worry about what the people of Colorado think about this law, if the politicians think it’s a good law, pass it. Then the matter goes to the voters. This is the driving force behind our form of government. It only works when politicians care about passing laws and stop worrying about public sentiment. I think this law is ridiculous, but the elected representatives of the people of Colorado may think otherwise. Good for them. I’m sick of it. Sick. We are a nanny nation. I’m reading comment after comment about the terrible death of Otto Warmbier and virtually everyone seems to think they know better than Warmbier, they know better than his parents, they know better than the travel agency, they know better how to lead everyone else’s life. I’ve got advice for each and every one of you. Why don’t you try to lead your own miserable life and stay out of everyone else’s business? Is that too much to ask? Really? 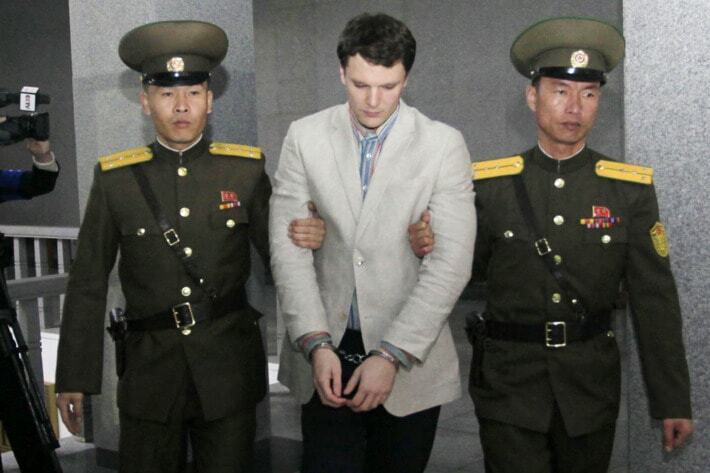 You get to tell Warmbier how stupid he was for going to North Korea. You get to tell his parents there must to be an autopsy. You get to push your political agenda by using the death of this young man. You’re sick. All of you! Sick, sick, sick. When did we become a nanny nation? When did every single decision anyone makes become our business? People are concerned the United States is becoming a Nanny State where the government feels compelled to tell us how to conduct our lives? Well, look in the mirror. Just look and tell me what you see. What was your last comment on any news story? Was it telling someone else they were wrong about something? How to go about their business? For whom they should vote? That they are ruining their lives by eating coconuts? Ruining their lives by not eating coconuts? Good grief. Shut up, the lot of you, leave people alone. Don’t get me wrong. I don’t mind an informed discussion. Here are the facts of the case and the opinion that I’ve arrived upon. What do you think? That’s reasonable. But no one does that anymore. It’s all somebody else’s fault. It’s all shouting and yelling and feeling superior because we’re certain we would do things better. Are you so insecure with your own life that you have to tell everyone else how to live? Because that’s what it is. If you’re posting stories about how wrong and stupid other people are, it’s because you have no confidence in yourself. You might think you do, but the proof is in the proverbial pudding. If you actually had confidence, you wouldn’t feel the need to tell everyone else how to go about their lives, all the time! How about you leave the Warmbier family alone to experience their grief in the way they choose to do so? Is that so much to ask, you miserable excuses for human beings? 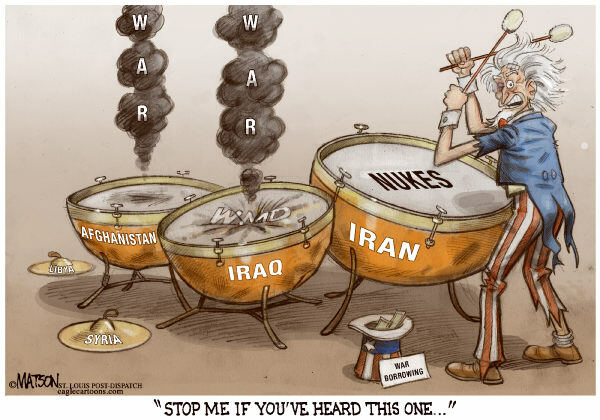 I see a familiar pattern in the beating of the war drums. Our enemies are readying to attack us. 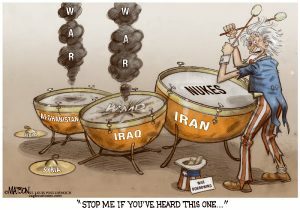 They are engaged in acts of war upon the United States. We must defend ourselves. It is quite similar to the mantra that came out of President George W. Bush’s Whitehouse prior to our invasion of Iraq. It seems to be resonating with the same group of people. War is not a glorious endeavor. War means death, maiming, horrific psychological damage. Even if we are successful in various combat scenarios it entails long operations where soldiers are subject to guerilla style attack. It means families are split for years, that fathers and mothers are separated from children. And this is only for our troops, the ostensible enemy is mainly non-combatants and they will suffer the most, they always do in war. War is sometimes necessary, this I do not deny. However, I see nothing to be gained from war in Syria or war in North Korea. I’m quite certain our military can inflict huge amounts of damage. We can kill hundreds of thousands of people. The losses of our enemies will likely be far greater than any we sustain, but to what end? 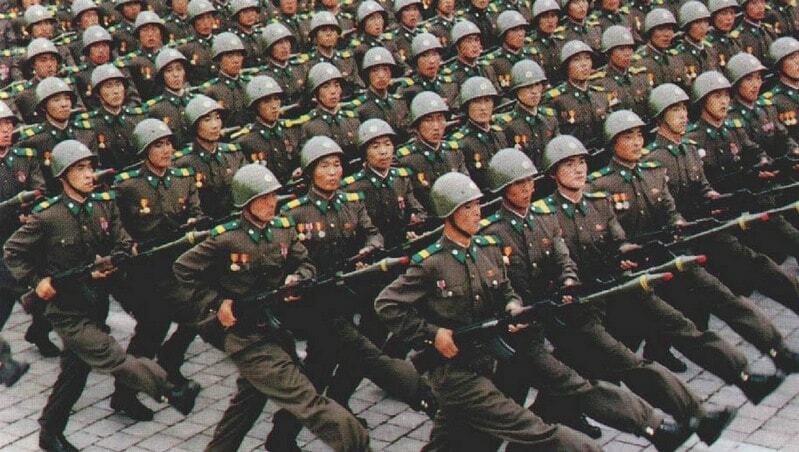 North Korea is a nation of twenty million people. It is physically adjacent to China and far from our shores. Supporting such an effort would cost trillions of dollars in addition to the money we are spending in Iraq and Afghanistan, two conflicts from which are yet fully extricated. Syria is in the middle of an incredibly volatile region. There are so many different factions involved it’s impossible to count them all. Any ally of ours today will almost certainly be an enemy tomorrow. Our troops in Afghanistan are being attacked by supposed allies on a weekly basis and the situation in Syria will be far worse. Russia has a strong military, certainly not as powerful as our own, but one that can inflict serious damage to our soldiers. They can sink our ships and shoot our planes out of the sky. China can do the same. Supporting our troops in these far-flung regions is not an easy endeavor and our allies are more and more closing their doors to our support lines. Our major airfield in the region is at Incirlik but the Turks are not in agreement with our policy regarding the Kurds. We have armed the Kurds and aided their attacks. It is likely Turkey will refuse to allow us to use this base in active war. 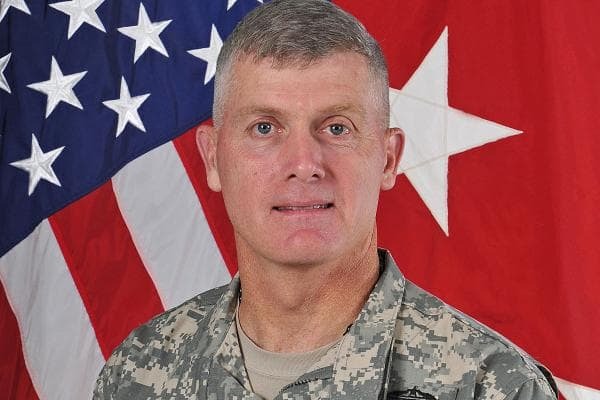 We maintain bases in Iraq, despite any nonsense you’ve heard that we fully pulled out of the country, but they are not as functional as Incirlik. I suppose people somehow get the illusion in their head that war will be easy. That we won’t take too many casualties, that not that many soldiers will be maimed. I’m not sure how, after recent events, people can think like this, but as I read the comments it is undeniably so. And the drums beat on, those who support them are vocal. The more people support such saber rattling, such belligerent talk, such tough posturing; the deeper we become enslaved to these policies. We can’t back down once we’ve crossed certain lines. At least that’s largely the sentiment I perceive. Sometimes I think it is people just carrying over their feelings from the recent election, half-troll, half-serious. I see this apparent eagerness to attack our enemies, to put our troops in harm’s way, to expose so many people to so much potential harm and people treating it like a game of words to one-up their friends on Facebook. This is war. This is lives. This is not a game. Choose your position wisely. Officer Jeronimo Yanez was found not guilty in the homicide of Philando Castile and while some people consider this an injustice and others feel it was a fair verdict, there are longer term ramifications to be considered. At the heart of the case is simply the word of Yanez who said Castile was reaching for the gun he declared he possessed. Yanez was afraid for his life because Castile might pull out that gun and shoot the officer. Even if Yanez was alive to testify that he didn’t, in fact, reach for his firearm it boils down to a case of he said, she said. In these sorts of cases, our court system is designed to protect one party more than the other. In order to be found guilty the jury has to be convinced one person’s story is the truth beyond a reasonable doubt. 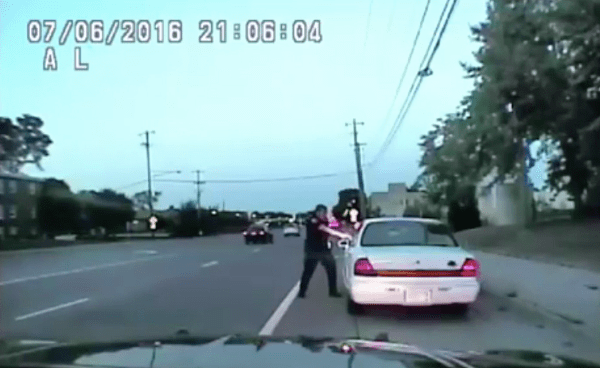 It is pretty much impossible to say, beyond reasonable doubt, Castile was not reaching for his pistol. Certainly, there was no reason for Castile to do so, having declared on his own that he possessed one. However, it’s the defendant who gets the benefit of the doubt in these cases. If the defendant was scared for his life and the plaintiff has a firearm and reached for it. It’s difficult to find the defendant guilty. These are facts. What I think is important are the ramifications of this idea. If any person can, out of fear for her or his life, shoot another person who reaches for their pistol, the group of people who have the most to lose are police officers themselves. If I was stopped by an officer and it came to a situation where she or he was reaching for a sidearm, I would attempt to kill the officer immediately. As troubling and horrific as that thought is. What choice do I have? It’s clear the officer can kill me with impunity and claim fear as the justification. I’m aware that sounds anti-police but that’s not my intent here today. I think police officers do an incredibly difficult job and deal with some of the worst people in our society. I admire many of them greatly and am thankful they are out on patrol. That doesn’t change the fact their lives just became incrementally more dangerous. A small amount of more hazardous is not good for officers out there doing their job. It’s already dangerous enough. More and more the courts are basically allowing people to kill others because the shooter was ostensibly afraid for her or his life. Officers have benefited from this trend for the most part but it doesn’t take a genius to figure out it’s going to go in the other direction soon enough. That makes me terribly sad. Our court system is not going to change. That being said, there is a solution. It’s something I’ve spoken about many times in my various blog posts. The reason police officers are so mistrusted and even hated in communities is tied almost exclusively to the War on Drugs. It has turned officers from beloved and revered members of municipalities into the hated enemy. It has created an aura of distrust and hate between officers and the people of the community they serve. The current administration seems intent on expanding the War on Drugs and that will only end up destroying more lives, police and civilian. I wince when I consider the stories I’ll be writing blogs about in the future. About the unnecessary loss of life. I’m saddened by the deaths of civilians and law enforcement officers that will almost certainly arise from this verdict and others of the same nature. As the mistrust between civilians and the law enforcement officers who protect them grows, there is an inevitable increase in fear. The constant companions of fear are violence and death. Katy Perry just became the first Twitter user to have 100 million followers and this is a wonderful thing. It gives me hope for humanity. You’ll laugh, I’m sure. That Tom Liberman has finally lost his marbles. Katy Perry? A quick perusal of the top personalities on Twitter reveals entertainers dominate. Aside from corporate entities like YouTube, Twitter, and CNN; the top twenty are all entertainers with the exception of former president Barak Obama. I’m not a big popular music fan. I think Miss Perry is talented and relatively easy on the eyes but that’s not why I was so pleased to see she is the number one personality on Twitter. The top twenty list on Twitter is a celebration of what is right in this world and what is important. People argue about politics but we save our real passion for entertainment. What in this world makes us happy? What brings us joy? When I see Miss Perry has so many followers and in second place is none other than Justin Bieber, I do not frown, my heart is not filled with rage, I smile. People do indeed have their priorities straight. They value their own joy over the misery and rage that has become politics. Not by a lot sadly. Obama sits at number three and President Trump comes in at thirty-third. The first athlete on the list is at eleven, Cristiano Ronaldo. The first comedian is Ellen Degeneres at sixth. The first business orientated personality is Bill Gates sliding in at a cool twenty-seventh. Despite the heated rhetoric we see in the news. Despite the terrible deeds of the lunatic and violent fringe. Despite the hate I read in comment sections each and every day. Despite all this, to paraphrase another wonderful musician, People Just Wanna have Fun! That’s the way it should be. We shouldn’t be worried about politicians. We shouldn’t be worried about what everyone else is doing with their life and if we approve or not. We must focus on what makes us happy. In the not too far distant future we will have abundant energy with all it entails; endless food and water for all. Medical science will make us all but immortal. Advances in robotics will end most labor and I suspect even money will become a thing of the past. Can you imagine a world filled with people whose sole interests are things that bring them joy? Can you imagine spending your life doing things you love to do? Can you imagine not having to worry about what other people are doing? So, if you want to listen to Miss Perry’s latest single and sing along, more power to you. I’m going to go play chess with some strangers because that’s what I enjoy doing. I may even throw a few thousand more words at my latest novel. A novel I hope you’ll someday enjoy reading. In the future I envision, you don’t even have to purchase that novel. It’s available for free to all because I don’t need money. I write for the joy of writing and my payment is people who follow me on Twitter or post kind comments about the book. Only 100,030,506 more followers to go until I catch Miss Perry. I can do it! Let me be clear, I enjoy a fine cup of tea. Much to my chagrin, I just learned I’ve never tasted a tea called Orthodox Tea which grown in Nepal. The reason I’ve never enjoyed this tea, the reason most tea lovers have not, is because of a repressive and totalitarian government. In addition to limiting my tea enjoyment experiences, this government kept the people of Nepal in crushing poverty. One of the finest teas in the world is called Darjeeling and comes from India. India was a colony of tea-loving England and while I certainly don’t approve of colonization of other nations, it can’t be said everything that happened in this era was bad. One of the good things was the fostering of the tea industry in India. The English wanted their tea and they created a huge industry in India. The fact for a long while this industry largely benefited the English rather than the people of India is shameful, but eventually the Indian people gained independence and they began to enjoy the fruits of their labor. Nepal is adjacent to India geographically and also well-suited to tea production. Way back in 1862 the Chinese supposedly gifted Nepal tea seeds and production began. Then something rather tragic happened. The government of Nepal at that time was called the Rana Dynasty. This was an autocratic and totalitarian state to the extreme. They ordered the army to confiscate the first crop of tea in 1873 and tea production in the region essentially ground to a halt. Why? What is the point of growing tea leaves for anything other than personal use if the government is just going to come and take it away? That’s what happens when a government decides what is best rather than economic factors. If the people of Nepal had been allowed to produce tea on a large scale it would almost certainly have alleviated some of the poverty in that nation, just as it did so in neighboring India. In addition, it would have generated tax revenue far in excess of the value of the tea seized. Eventually the Rana Dynasty fell from power in the 1950s and a new constitution was written granting people freedom. What was the first thing people started to do? Grow wonderful Orthodox Tea in a climate that is ideal for doing so. The new government pretty much immediately recognized the economic potential of tea and took over the industry. This had some benefits because it encouraged growing tea but the entity that largely profited was the government. In 1980 Nepal exported about one-hundred and fifty tons of tea annually. Then, only fifteen or so years ago, the government decided to allow individuals and companies to profit from tea production. 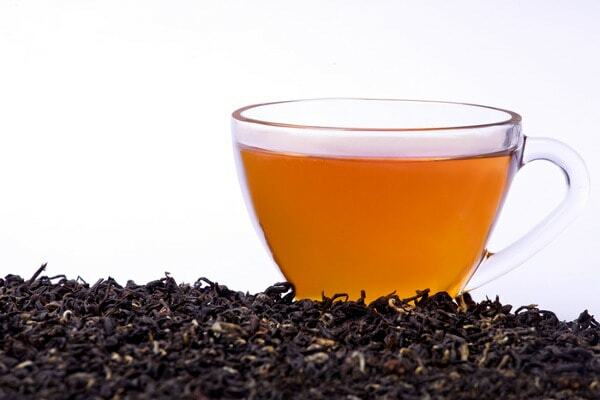 Nepal now exports nearly five-thousand tons of tea annually. Highly rated Orthodox tea which I had never even heard of until today. Production is rising, no surprise. Meanwhile private organizations among tea companies have sprung up and tried to ensure producers are adhering to high standards including environmental concerns. The supposedly indispensable role of government. This nascent tea industry is enriching the people of Nepal, and more importantly from my perspective, allowing me to enjoy a cup of tea. I have yet to sample, so I cannot give you a review. When I make my next order from Tea Gschwendner you can bet there will be at least one batch of Orthodox winging its way to my tea kettle. I can hardly wait. 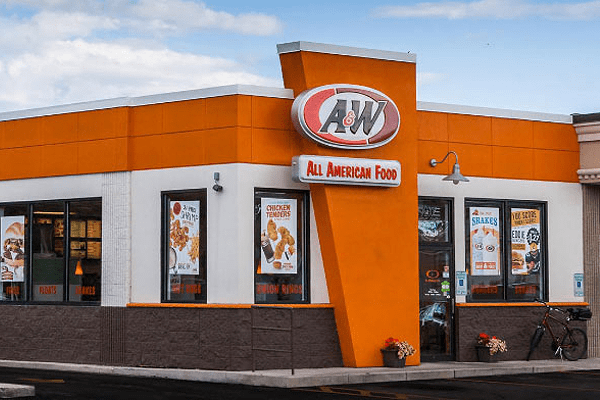 I just read an interesting story about a chain restaurant called A&W. It’s been around since 1919 and at its peak had more locations than McDonalds. There are any number of reasons for the decline but one of the more fascinating was the introduction of the Third Pounder in competition with the Quarter Pounder. It failed. And thus, we discover the terrible mistake A&W made all those years ago. They priced the Third Pounder less than Quarter Pounder setting up a particular expectation. If you pay more for one product than another, there is some anticipation the more expensive product has something extra. Sometimes that extra might be higher quality, a larger portion, or perhaps better service. In this case there is little chance of better service and higher quality is not really a consideration, so people made the logical deduction. A third must be less than a quarter. The fact this is not true is irrelevant to the point. I’ve read a number of stories about this incident and the conclusion everyone seems to arrive upon is people in the United States are not very good at math. This is a correct conclusion but it’s not the correct marketing interpretation. To me, it’s clear the mistake A&W made was pricing the Third Pounder lower than the Quarter Pounder. If they had priced it slightly higher people would more likely have done the math correctly. Now, I could be wrong. One article I read said people made the error because in 1/4 the 4 is a bigger than the 3 in 1/3. It’s certainly possible this is true but I’m skeptical because the fraction is not in the name. It’s called the Third Pounder and its competitor is called the Quarter Pounder. If I’m correct, this is an extremely important lesson in marketing. It’s something I consider when pricing my books. I’ve been told, by different people, that my price of $2.99 is wrong. Some say it should be $.99 while others suggest $10.99. The argument is interesting. A low price suggests low quality. I agree, that’s why I go with the $2.99 as a compromise. It could well be the wrong choice, I certainly haven’t sold many of my novels. This story is certainly making me rethink my pricing scheme but that aside, let’s return to the idea that A&W made a marketing mistake. A simple solution to the problem would have been to raise the price on the Third Pounder and see if that alleviated the problem. We’ll never know what would have been the result of such a test. Still, it’s an insight into human nature. We generally come to the conclusion a higher price means something better, even if it doesn’t. Many marketers take advantage of this and put high prices on lower quality products. It’s important as a consumer to take that into account. 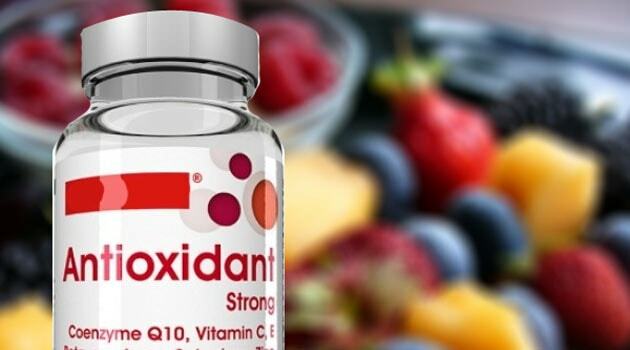 We live in an age where you can research any product you are planning to purchase extensively on the internet. Do so. Meanwhile, there is good news. 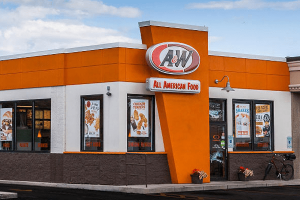 A&W is making a bit of a comeback. They’ve opened more stores this year than in many years. In addition, they’re now making root beer on site rather than going with syrup and fountains. Anyone else have a hankering for an old-fashioned root beer float? I’m watching the Livestream of the 2017 U.S. Open Golf Championship at Erin Hills and Tommy Fleetwood is leading the way at twelve under par. The USGA is not going to be happy. The bigger problem, what I think is going to cause a lot of consternation, is that nearing the end of the third round, forty-two players are under par. The U.S. Open is traditionally considered one of the most difficult tournaments of the year and usually only a handful of players finish better than even. The United States Golf Association generally tries create a very difficult golf course. There seems to be a sense of pride in making the best players in the world struggle. Two years ago, the course at Chambers Bay was set up by the USGA to be all but comically difficult. Well, frankly, it was comical. This year’s course is at Erin Hills which has wide fairways, large greens, and it is a par 72 as opposed to 71 or 70. There hasn’t been much wind and the best players in the world are having their way with the course. It’s beginning to look like this year’s winner will get close to the record, sixteen under, set by Rory McIlroy in 2011. The difference is that McIlroy won by eight strokes. That’s not the case this year. A fairly large number of players are in the hunt at ten to twelve under. What I fear is the USGA will be embarrassed by this showing and set up Shinnecock Hills, the site of the event in 2018, to be extremely difficult. There is something almost sadistic about the USGA and the way they try to make the courses difficult. 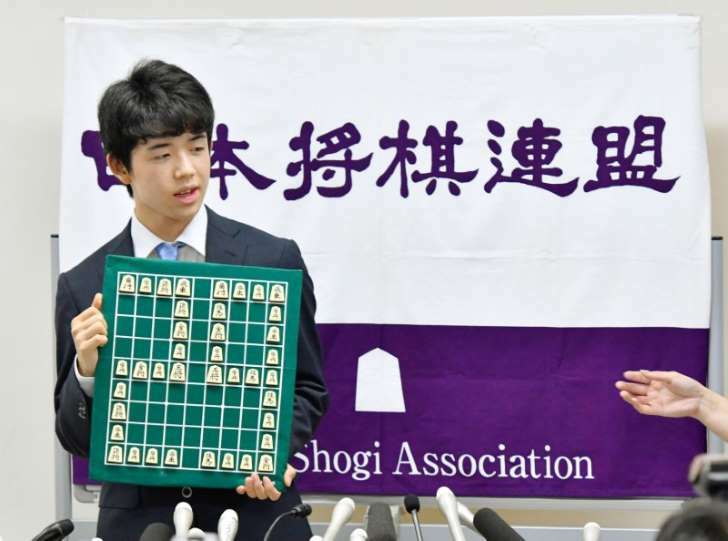 The problem is that players are extremely good. I’m not saying anyone is better than Jack Nicklaus, but I think it can be said without fear of error, the average player on the PGA Tour is better now than at any time in history. There are a huge number of amazingly good golfers who can shoot fantastic scores. With this many good players, the chances multiple golfers will have fantastic weeks goes up dramatically. This means the USGA must trick the course up in order to keep scores low. They tried this at Erin Hills by having very penal rough, but it didn’t work because the fairways are so wide. They also have rolled the greens to make them fast but damp weather and lack of wind is in the favor of the golfers this year. I don’t think there is anything wrong with good golfers having great rounds. I enjoy fantastic shots far more than circus greens like we had at Chambers Bay. I don’t enjoy greens so fast that a player nails a shot a foot past the hole and then watches in horror as it runs all the way to a collection area. I don’t like viewing the best players in the world strike their shots with abject fear. I’m not saying make the course easy, I’m just saying don’t be offended if the best players in the world, in perfect conditions, light it up a little bit. I guess we’ll find out next year, but I suspect my fears will be realized. Anyway, I’m enjoying this year’s tournament immensely and love the beauty of Erin Hills. Great course meets fantastic players, sometimes the players win. No shame in that. 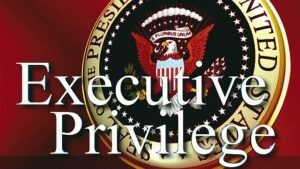 What do I think About Executive Privilege? Executive Privilege is a subject of much debate thanks to Attorney General Jeff Session’s sort of thinking about, maybe, kind of, invoking it in regards to testimony about the firing of FBI Director James Comey. I’d like to examine the principle of Executive Privilege as a whole and what it means to a Libertarian like myself. The first thing we must clearly understand is Executive Privilege is not in the Constitution of the United States. Nope. Not a word. The President and his communications are not immune to oversight from Congress and the Legislative Branch. Both branches can and do have the right to subpoena such information if it is material to their oversight responsibilities. The next thing we must immediately dispense with is the idea that one political party has a monopoly on using Executive Privilege. The previous three presidents have resorted to this doctrine to cover-up wrongdoing on a scale not seen in the first two-hundred plus years of this nation’s existence. President Bill Clinton used it to attempt to avoid testimony from the Secret Service during the Monica Lewinsky affair. President George W. Bush used it to avoid releasing information about the highly suspicious death of Pat Tillman and the disgusting cover-up that followed. President Barak Obama used it to prevent release of information in regards to the Fast and Furious firearms operation. Our first president, George Washington, once refused to turn over information regarding negotiations on a treaty with England to the House of Representative believing the Senate alone had oversight responsibilities on ratification of such items. He did turn it over to the Senate. Thomas Jefferson refused to turn over information relating to Vice President Aaron Burr because it contained sensitive information related to the security of the nation. In my opinion, and that of Chief Justice Warren Burger, Executive Privilege should be used only in the rare cases national security interests are involved. When the investigation or prosecution of a crime is underway, the agency or branch charged with oversight should almost always be able to see those documents, certainly privately and not for public release. The first time we see Executive Privilege used to hide normal conversations between the president and anyone is when President Andrew Jackson used it in regards to his discussions about the Second Bank of the United States. President Dwight Eisenhower invoked it in regards to Senator Eugene McCarthy and request of military information regarding communists. President Nixon used in an attempt to prevent information about the Watergate scandal from getting to into the hands of prosecutors. Then the floodgates opened with Clinton, Bush, Obama, and as we’re seeing President Donald Trump. They are using the idea that any conversation, even if criminal, is privileged. Point in hand is the current situation. We all know what happened. There is no mystery. Trump wanted to fire Comey. He asked Sessions and Deputy Attorney General Rod Rosenstein to find a reason to do it. His real purpose was discomfort at Comey’s investigation into ties between his administration and Russia. If Sessions knew this was the real purpose, and isn’t saying, he has broken the law. He was recused from the investigation. Therefore, Sessions must go on with the charade that he had no idea that’s why Trump wanted to fire Comey. If he refuses to testify at all, citing Executive Privilege, then he will not be guilty of perjury should hard evidence of the real situation become available. This would end up with Sessions in prison. Now, finally, as to my point of a view on all of this. As a Libertarian, I’m disturbed by the entire idea of Executive Privilege. If information is pertinent to a criminal investigation I see few reasons it shouldn’t be turned over. I understand national security and secret information must be treated with great care. Such details should be released only to the highest-level officials with oversight authority into the particular case. What the President of the United States says to his advisors is absolutely my business. I pay all of their salaries. This is my country as much as it is theirs. If they want to talk about something then, as public officials, they must be prepared for that information to be available in a criminal investigation. If a crime has been committed you can’t simply say I won’t talk about it, Executive Privilege. If people can’t see how obviously dangerous that precedent truly is, well, I don’t imagine you should bother reading further. Executive Privilege is a vile perversion of the very job our elected officials are supposed to be doing. If they commit a crime they must be held accountable for it. If they don’t have to give over information that implicates their criminal activities then what is to stop them from engaging in lawless behavior all the time, other than their conscience? Clearly, nothing. If our elected officials can commit crimes without oversight, without the ability of law enforcement to conduct investigations, I fear for our nation. Holding elected representatives, all the way to the highest office, accountable for criminal behavior is vital to our national security. Far more important than the privacy of any particular conversation. I’m virtually certain those who consider themselves supporters of President Trump will think I’m completely wrong about this now but would have totally agreed during the Obama presidency. And, of course, vice versa. That’s another big part of the problem but I’ll leave that alone for today. Executive Privilege is a crime against the people of the United States. It should largely not exist. 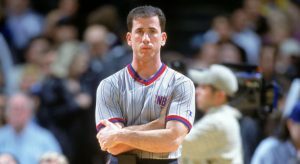 A former referee by the name of Tim Donaghy is claiming NBA executives will instruct league officials to affect the outcome of the fifth game of the NBA Championship series between the Golden State Warriors and the Cleveland Cavaliers. The reason this topic is getting so much attention is the fourth game of the NBA playoffs saw an inordinate number of fouls called against the Warriors. This triggered a lot of outcry because the Warriors were ahead three games to none against the Cavaliers and many people saw these events as the league ensuring the lucrative series continued past four games. I find myself quite ambivalent about this subject. While Donaghy was an official in the NBA he wagered on games in which he refereed and cheated in order to win the bets. I played sports all through my youth, and my heart has no room in it for cheating refs. Donaghy is a failed person. I don’t like him and I hate what he did. He betrayed the fans, the league, the players, and the other officials. If he says something I’m inclined to dismiss it out of hand. On the other hand, I think the NBA has a strong and vested interest in the outcome of every series. There is a huge amount of money at stake. This NBA postseason in particular has not been as lucrative as it could be because the Warriors and Cavaliers won every game they played except one. Each series went only four games except one which went five. Each game generates millions of dollars in revenue. That is a lot of lost cash. The money the networks pay to the league is recouped with advertising. There is every reason to believe the league itself, the venues, the parking garages around the stadiums, the vendors who sell product to fans, the networks, and countless others hope for a longer series. It’s impossible to ignore these realities. The officials are well-aware the league would like the series to go on. I think Donaghy is full of himself when he claims the league will order the officials to tilt the game for the Cavaliers, but the reality is the league doesn’t have to give overt instructions. Everyone knows the outcome the league wants. And that everyone includes officials. The league gives out assignments for the playoffs and the officials chosen for the finals make more money than those who are not. The league can easily make their desires known but they don’t have to do so overtly with specific instructions. I’m certain Donaghy is a self-promoting jerk and his statement is opportunism at its worst. His declaration impugns the reputation of all the other officials and the league itself. However, I’m convinced the referees understand the league desires a Cavalier victory in game five. I don’t think the officials will overtly cheat but there are plenty of 50/50 calls in every game. 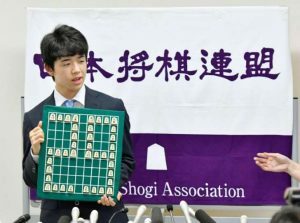 This being the case, it’s quite possible for them to tilt the outcome slightly, although unintentionally. The human eye sees what it wants to see, not what is really there. This is a problem in these situations. There will be calls that are incorrect and each one that goes the Cavaliers’ way invites suspicion. What is my conclusion? Donaghy is a complete and total jerk. He is factually wrong about league executives giving explicit instructions to referees. But his overall point has merit. What can be done about it? Nothing. It is what it is. Prior to the election, President Trump got a lot of grief and praise for tough talk in regards to North Korea and their military ambitions. This tough talk was well-received by those who like such things but reality has set in, at least for Trump, and that is a good thing. The keyboard warriors haven’t changed their attitude at all. Those that support Trump generally believe a military solution to the problem of North Korea is on the table despite the fact such action is largely impossible because of the terrible harm that would come to South Korea and Japan and the fact that China and Russia are not going to allow us to operate in the region in an unfettered fashion. What I find interesting is that Trump has stopped speaking about military solutions, as have his advisors, even as North Korea intentionally provokes them. This shows an understanding of the complexities of the situation and the difficulties of any solutions. 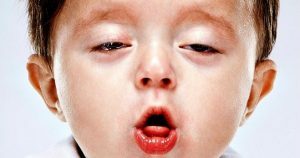 Meanwhile the comments section of any article about North Korea and their various missile tests are filled with Trump supporters repeating his campaign rhetoric. That North Korea wouldn’t dare tests more missiles now that we have a tough president. 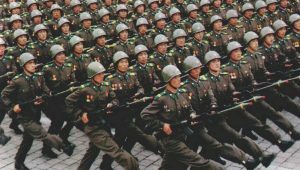 This despite the obvious reality North Korea thrives on saber rattling and has ramped up their program hoping to provoke the current administration. This disconnect interests me. Now that he is actually in power, Trump apparently understands the limited options available to us as far as North Korea and other nations are concerned. His tough talk has faded into basically the same policy pursued by previous presidents in regards to North Korea, Iran, and other nations we perceive as the enemy. Mostly diplomacy, a fair number of drone strikes, and a few raids with soldiers on the ground. We have changed presidents but the world largely remains the same whether or not supporters of Trump choose to believe it or not. I think this is perfectly natural. When we don’t actually have to make a decision, or take any action, we tend to have a very different reaction to situations than when we are in a position of authority. Once we come into a place where we are responsible for the outcome, our behavior tends to change pretty dramatically. It’s always easy as a keyboard warrior to utter tough words, but when the reality of the difficulties and dangers of a situation become clear, particularly the negative outcomes, we suddenly become more cautious. Thus, I don’t really mind the disconnection between Trump and his legion of keyboard warriors. They are behaving fairly normally, as is he. One of the few problems with this is when such banter bleeds over into real life. When people delude themselves into believing their online persona is their actual personality. Then trouble can ensue if they say the wrong thing to the wrong person. If we were to say something to a person in real life that we have no trouble uttering in an online situation we might get a fist to the face. In conclusion, don’t get too upset by the keyboard warriors. They are probably pretty nice folk in real life. There’s an interesting legal situation revolving around celebrity chef Gordon Ramsay and his in-laws. 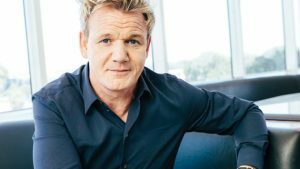 About seven years ago Ramsay got into a dispute with the father and brothers of his wife. They hacked into his business computers attempting to steal financial information. Sometime after their nefarious activity was discovered the families reconciled and Ramsay and his wife decided against legal proceedings against the Hutchesons, Chris, Adam, and Chris Jr. The prosecutor in the case felt differently. That’s what I’d like to discuss today. If the victims of the crime don’t want to prosecute, what should the state do? This is different than prosecuting criminal charges against those who take advantage of people unable to defend themselves, namely children and the mentally disabled. In those situation, I believe prosecutors should pursue criminal charges. However, when the victim is an adult and in possession of their mental faculties, I see no reason why the state has an interest in continuing the case. A crime has most certainly been committed. It is not legal to take information from someone else’s computer without their consent. If the victim of the crime was interested in bringing the perpetrators to justice there is every reason to prosecute the case. The prosecutor will put forward a single reason for going through with the case despite the victim’s unwillingness to do so. The law has been broken and it is my job to prosecute the wrongdoer. Without such punishment society will fall apart. If we let the perpetrators of this crime off without charging them, other people will be encouraged to do the same. This is an argument I don’t believe. Firstly, the reasoning is unsound. The particulars of this case seem so rare as to not provide any hope of the same thing happening for another criminal. No one is out there thinking to themselves the only reason not to hack into a system is because they’ll reconcile with their victim and not have to face prison. It’s just not a thought process for someone considering committing this sort of crime. Secondly, it is not the real reason the prosecutor wants to pursue the case. The real reason is for the aggrandizement of the prosecutor. For many prosecutors, it’s simply a matter of getting a conviction. The more convictions they get the better their resume looks. Then there is the fact this is a high-profile case. That means time in front of the cameras, which helps any future political aspirations. Meanwhile, there are numerous reasons not to prosecute. The most obvious reason to drop the case is the time and money used could be redirected to another more pressing matter. This is not inconsiderable. Prosecutors and defense attorneys are quite busy with heavy workloads and the court is swamped as a whole. The most compelling reason, from my perspective, is the simple fact the victims have no desire to see the criminal punished. If the victim of the crime doesn’t consider themselves a victim, then I don’t see how a crime has been committed. Again, let me be clear, I’m not including children and others who are incapable of making a decision about being a victim in this opinion. Another reason is that getting a conviction does society no good whatsoever. There is little or no chance the criminals in this case are going to commit a similar crime. Society is not served by putting the perpetrators in prison, fining them some amount, or putting them on probation. It is just money for the system. 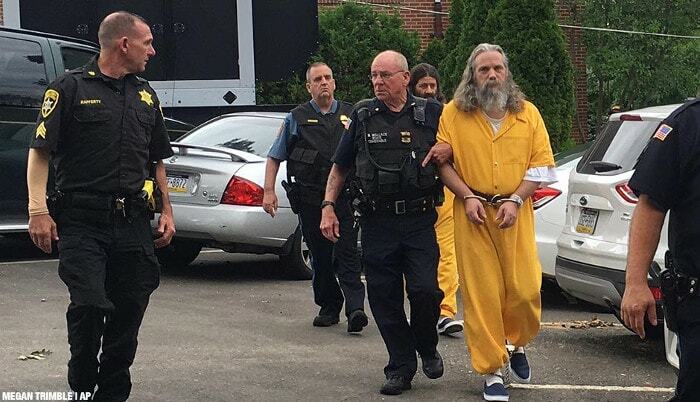 Lee Kaplan, Daniel Stoltzfus, and Savilla Stoltzfus were recently found guilty of horrific crimes. The case is quite interesting from a Libertarian perspective because all the criminals and victims don’t think anything illegal happened. They are all happy with events as they transpired. 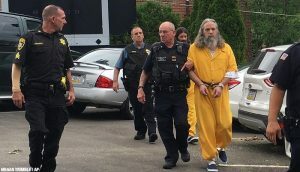 The case is centered around the fact Kaplan helped the Stolzfus family financially and they in turn handed seven of their daughters over to him. He began sexually molesting the girls at least from the time they were only seven years old. The mother lived with Kaplan and helped deliver her own granddaughters. In testimony, the accused and their victims argue they did nothing wrong. The parents contend they have the right to hand over the children and the girls imagine they love Kaplan and he loves them in return. What happened is vile and criminal. Just because the victim of a crime doesn’t realize she or he is a victim doesn’t mean no crime occurred. This seems to be at odds with the general Libertarian mantra that victimless crimes are not crimes at all. Just people engaging in behavior they desire. Libertarians certainly argue this case for the many and myriad drug crimes on the books and also for cases of prostitution. This is where I break from a number of what I would call fundamentalist Libertarians. These are those largely ideologically in line with my own thoughts but who have come to despise all forms of government and regulation. This is where Libertarians slip into being Anarchists. I think there are people in this world, children included, not capable of making their own decisions. Those who can easily be manipulated into believing things are perfectly normal and acceptable when they are not. One of the leading Libertarians, who I largely respect, recently wrote a long article about how children should be allowed to work without government intervention. That by allowing them to earn money we emancipate them. This is a problem for me for a number of reasons. One of which is that I like to consider myself a student of history. Child labor laws, while sometimes draconian, came about in response to terrible crimes against children. Industrial captains went to orphanages and adopted groups of children to work in their factories doing dangerous jobs. One of the most prominent stories involving this sort of behavior involves an orphan named Joseph von Fraunhofer who became a famous physicist. In addition, it was not uncommon for men to adopt young girls grooming them for eventual marriage much in the way Kaplan did in this case. The history of horrible abuse against children goes back as far as the written record. There are people in this world in need of protection. People who simply cannot, by the circumstances of their birth, mental, and physical conditions, take care of themselves. They can be manipulated into performing terrible acts and believing they enjoy doing them. This is one of the roles of government in society. I’m certainly not suggesting government doesn’t make a mess of things and overregulate and over criminalize. I’m just saying cases like this one convince me some form of government is necessary. 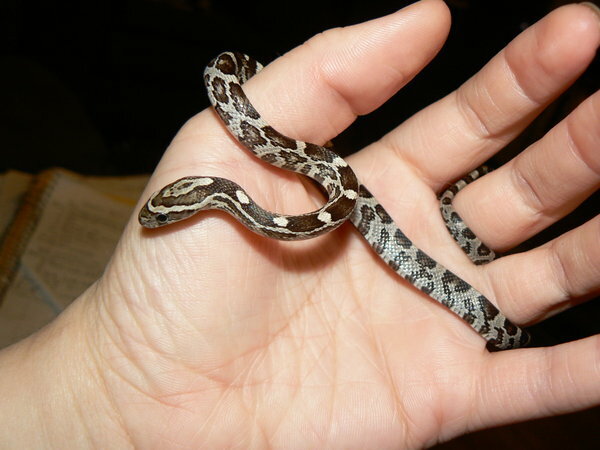 Kaplan is a sick and depraved individual. His manipulation of the Stoltzfus family is appalling. When he convinced the parents to relinquish their children to him he was being despicable. When the parents handed over their children to someone else they were, in my opinion, breaking a justified law. It must be illegal to barter children because they cannot protect themselves. Just because someone thinks they are doing something willingly doesn’t mean the actions being done to them should be legal. We must take into account the victim. Children, physically disabled, mentally disabled, and others need protection by the state. Now, if the Stoltzfus’s had simply handed over all their money to Kaplan I wouldn’t have a problem. It is their money do with as they will. If they handed over possessions or allowed Kaplan to live with them and use their car, I would have no problem. They are fools, certainly, but they are adults giving away their own possessions. Children are not possessions and that’s why I’m a Libertarian, not an Anarchist. 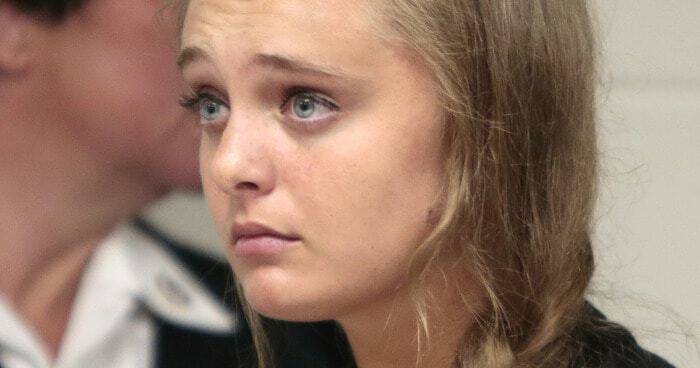 Michelle Carter is Encouraging Someone to Commit Suicide a Crime? The case of Michelle Carter has begun and it presents interesting questions for a Libertarian. Carter essentially encouraged and cajoled a man named Conrad Roy into suicide. He was feeling suicidal to begin with but in a series of texts over numerous days she pushed him to do it, despite the fact he was clearly reluctant and afraid. I’d like to dispense with the fiction that Carter somehow thought he was not serious about his intentions or that she didn’t actively attempt to bring about what she desired, Roy’s death by his own hand. Anyone who reads the messages must come to the conclusion she wanted Roy to kill himself. We can only speculate as to why she wanted this outcome but that she wanted it to happen is beyond debate. Without a doubt, we can conclude she is a failed and disgusting human being. But is she a criminal? She didn’t take any physical part in Roy’s death. She did not even purchase any of the equipment he used to kill himself. She took no direct actions that caused his death. She simply told him, repeatedly, that his family would be fine, that his problems would be over, that he would be in heaven, and that suicide was clearly the best and only solution. When he promised to do it and failed, she chastised him for his shortcomings and encouraged him to finish the job. When the fact of these texts came to light, Roy’s family alerted the police and now Carter has been charged with Involuntary Manslaughter. Essentially, she is being charged with killing Roy. Therein lies the problem. Carter didn’t kill Roy. She just encouraged him to kill himself. Roy was clearly vulnerable to such manipulations but there is no indication he was mentally handicapped. He was of legal age when he killed himself and of relatively sound mind. He clearly wasn’t thinking very well and was manipulated by a terrible person. I freely acknowledge as much. But he was not legally impaired. As such, Roy is ultimately responsible for his own actions. People want to punish Carter for her reprehensible behavior and I well understand this desire to make her pay for her actions. She is a horrible person. She deserves a punch in the face at the very least. Sadly, I don’t think she should be put in prison for her actions. While she certainly encouraged Roy to kill himself, Carter took no concrete actions in making it happen. It’s largely the same as if I said I wanted someone dead. It’s a horrible thing to say but I haven’t actually killed anyone. I can talk about committing all sorts of crimes but it is only when I take physical action toward committing those crimes, or actually proceed, that I’m subject to law enforcement. If Carter is found guilty of the crime it has rather far-reaching implications. Anyone who encourages anyone to commit a crime might well be charged. Saying something in Social Media about wanting President Obama or President Trump to burn in hell could well encourage a lunatic to attempt murder. There are plenty of fanatics out there and they don’t need much encouragement. The important reality is that we must be held responsible for our own actions. In this case Roy is dead and that’s a terrible shame. Carter is a nasty piece of work and one would hope people will shun her in the future, but it’s not up to me or the courts to force punishment upon her.